New theatrical adaption of the award-winning novel just completed. "Words are the most powerful of all drugs." 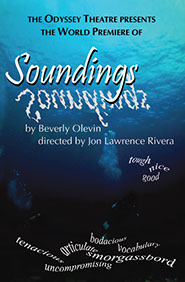 Soundings is a unique drama about the power of choosing and changing one’s future. The play is a comic-drama that touches the heart and opens the mind. a class and teacher in Los Angeles. 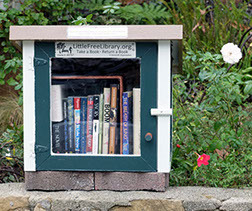 Little Free Library here now! In front of our house on Beverly Glen Place. or just come on by and get a book. 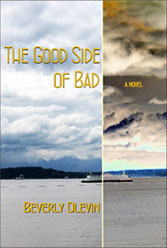 "The Good Side of Bad" has been optioned by an L.A.-based indie film company to turn it into a feature film. The script is currently in development with plans for principal photography to take place in New York, Seattle and Los Angeles in Fall 2017 with a 2018 release date. Let out your inner writer in a fun, safe, and non-judgmental setting. Here is a place to let your words flow; memories, insights, ideas, visions will find life on the page. No pressure, no goals, no expectations; just a guided adventure into the pleasure, satisfaction and joy of writing. 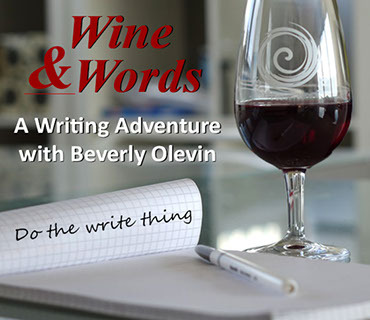 Wine and Words is not a traditional writing class, it’s a free and easy journey that allows you to nurture your creative spirit as well as your introspective side. And it is all made more enjoyable with a glass of wine shared with like-minded people. A collection of inventive word prompts get you started writing and soon you will be exploring your past, present and future in new and exciting ways or testing your talent at creating fiction. "Second Wind: New Passions and Paths"
The Objective: The purpose of this project is to explore how individuals can reinvent themselves in life’s second half and find a sense of meaning and purpose that redefines how they see retirement. Your Role: We are interested in interviewing people who have discovered a new passion that brings more energy, enthusiasm, learning and adventure into their lives. We are looking for all kinds of stories- each one will be its own unique journey. describing your new passion or path. Beverly is continuing her writing workshop that will be lead in her home with small groups. After years of consulting and training in corporations, years of directing theater, and writing & publishing fiction, she's eager to put all this experience and skill to work in a meaningful way with intelligent and interesting people who want to expand their horizons. This will be a six week workshop designed for anyone who is interested in writing fiction, from poetry to short stories to novels. This class is meant to get you going and keep you going. This workshop is for experienced writers as well as those who are just beginning their writing career. Here is a place where you can safely share your writing with like-minded people. Writing exercises will help you find your voice and the story you truly want to tell. 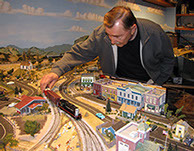 Workshops will continue throughout 2012, and new sessions in 2013 ... check back for details. fun and inviting for all who are interested.